To promote the creation of collections in order to adapt them to the needs of researchers. To provide the scientific community with access to biological samples and associated data. To guarantee patients' rights in terms of donation. To advise researchers on the use and handling of biological samples. 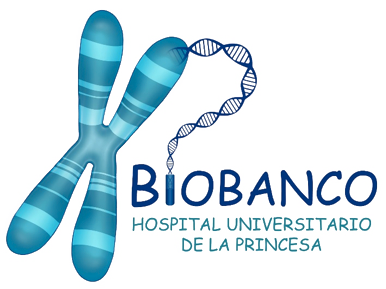 The owner and the person responsible for the Biobanco contents is the Fundación de Investigación Biomédica (FIB) at Hospital Universitario de La Princesa. 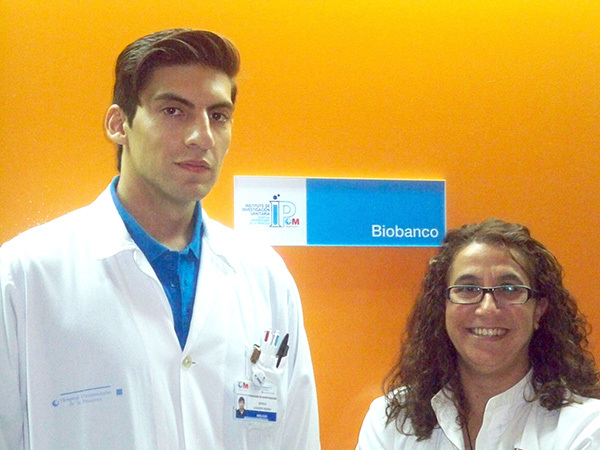 The Chief Scientific Officer is Dr Mara Ortega Gómez, assisted by technician Sergio Luquero Bueno. According to Spanish Royal Decree RD 10176/20111, it is part of two External Committees (Research Committee of the IIS-IP and the Research Ethics Committee of Hospital de La Princesa). It also has a Collaborative Committee, made up of researchers from the insititution that advises the Biobanco. The reception and processing of samples is carried out in this laboratory. It has a laminar flow cabin and a CO2 incubator for cell cultures. It also has all the necessary equipment for the processing and aliquoting of such cultures. The storage room is equipped with two freezers for storing samples at -80 ºC and -20 ºC. It also has a cell cryopreservation system by means of a "dry" liquid nitrogen tank system which, using a double jacket (filled with liquid nitrogen) around the perimeter of the tank and at its base, ensures a temperature gradient ranging from -190 ºC at the tank mouth to -185 ºC at the bottom of the sample tray. This guarantees a uniform temperature for samples, with no risk to the user as there is no liquid nitrogen in the tank, and full use of its capacity. As a system available to preserve sample integrity in case of failures in storage devices, the Biobanco has a system of Temperature Probes monitored using real time measurement, thus offering a reliable solution to monitor and record temperature data wirelessly. In case of any abnormality in receiving the measurement, the associated software issues an automatic telephone call to members of the Biobanco to resolve the incident as soon as possible. Identification of processed and aliquoted samples in our facilities is done using a code generated by the Bio-e-Bank management system. The program integrates the origin of the sample and the coding generated by the program. In addition, at the time of transfer, a third code is generated, thus guaranteeing sample confidentiality and traceability. The Biobanco is also an establishment for hosting biological samples for biomedical research purposes, a support platform that offers services related to the handling of biological samples. Creation and management of new collections. Storage of pre-existing collections (-80 ºC, liquid nitrogen). Purification and freezing of PBMCs. Extraction of DNA from peripheral blood and/or frozen tissue. The fees for these services must be signed by both the Lead Researcher and the Head of the Biobanco, Dr Mara Ortega Gómez. * These rates correspond to one-year storage of a box with a maximum of 100 tubes. For storage in tubes with 2D coding (only to be stored at -80 ºC), contact the Biobanco. The rates for DNA extraction from other biological samples are not defined because the cost of the Kit will depend on sample type and volume. The same applies to RNA extractions. If you require these or other services not described in the table, please contact Dr Mara Ortega biobanco.hlpr@salud.madrid.org, ext. 17527. Rates Approved by the Board of Trustees of the Fundación de Investigación Biomédica at Hospital de La Princesa on 10 May 2012. Patients diagnosed with Genitourinary Oncological Pathology. Patients diagnosed with Primary Thyroid Carcinoma. Patients with Primary Hyperparathyroidism who are operated on at the Hospital. UCICEC COLLABORATION – BIOBANCO HUP "CONTROLS – CLINICAL TRIALS"
Phase I clinical trial volunteers in the Clinical Trials Unit. Patients with recent onset arthritis (RA). Patients with immune-mediated inflammatory diseases (Rheumatoid Arthritis, Inflammatory Bowel Disease, Multiple Sclerosis and Psoriasis). Adult patients with Down syndrome.